The work Shadows/Echoes was conducted over a two-year period where Marianne travelled around Iceland to research and document a system of believes where the existence of elves and fairies is not seen as marginal. Through the more than 30 documents that form the project, the wish to convince and to be convinced is set up against technical findings and evidences. Through a rather ”naive” attempt to document the existence of the elves the artist collected photographs from the Reykjavik Photography Museum’s archive, testimonies from the National Museum of Iceland and transcribed conversations with clairvoyants, together with her own photographs of places with an assumed elf population. The gathered documents is presented as an archive that may seem arbitrary yet carefully composed; with no “valid” proof of the hidden world, the material operates as a link between the existing reality and the possibility of another. 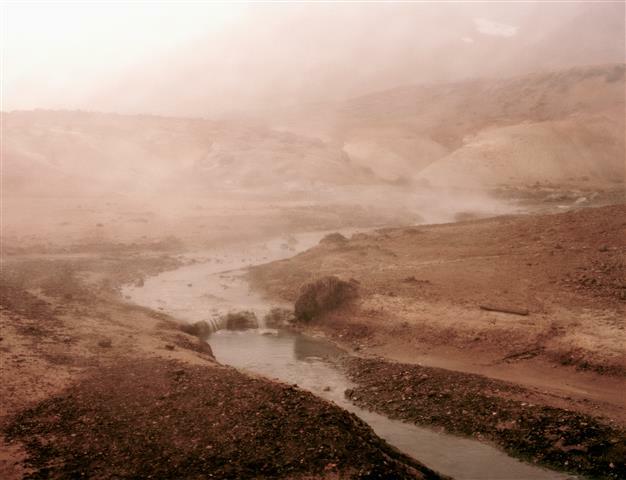 Marianne Bjørnmyr is a Norwegian artist, living and working in Bodø, after returning from eight years in London where she received her MA in Photography from London College of Communication in 2012. Marianne works with research based photography, concerned around our perception of the photograph’s approach to reality. Through experimentation around photographic presentation she explores the phenomena of myth, and the photograph’s role in conveying objects and surroundings is set up against our understanding. Marianne’s work has been exhibited internationally including Daniel Blau’s ‘5 under 30’, The Norwegian State Exhibition “Høstutstillingen”, The North Norwegian Art Exhibition and Format Festival. In 2015 Marianne was one of the FATHOM Residents at Four Corners film in London, and was the same year mentioned as one of top 10 London based contemporary photographers. Marianne published the book ‘Shadow/Echoes’ in 2013, ‘An Authentic Relation’ in 2016 and ‘Beneath the Salt’ in 2017.